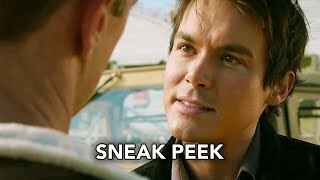 Roswell, New Mexico 1×09 “Songs About Texas” Season 1 Episode 9 Sneak Peek – SHIRI APPLEBY DIRECTS — Max (Nathan Dean Parsons) and Michael (Michael Vlamis) travel to Texas to visit a faith healer, who may be able to shed some light on the alien symbol Max has been researching. 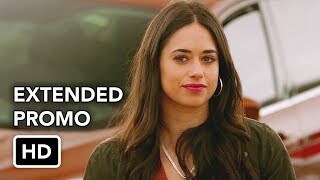 Meanwhile, Maria (Heather Hemmens) and Liz (Jeanine Mason) pay a visit to the same faith healer in hopes of finding a cure for Maria’s ailing mother. 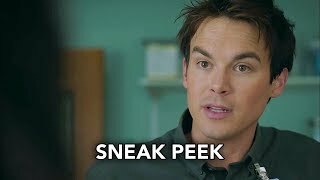 Elsewhere, Alex (Tyler Blackburn) and Kyle (Michael Trevino) look into what Sargant Manes may be hiding. Shiri Appleby directed the episode written by Sabir Pirzada & Carina Adly MacKenzie (#109). Original airdate 3/19/2019.